A review of the Foremost Health Insurance Company of Grand Rapids, Michigan leads to Foremost Insurance Group. Foremost was founded in Grand Rapids in 1952 to help individuals who lived in the city who needed affordable auto insurance. They have since grown to serve over two million customers in several states. If you are looking for personal health insurance, enter your zip code in the free box now to compare rates and quotes from several top companies. Foremost home insurance policies include property damage and personal injury coverage. This is meant to cover damage done to the property or the home by natural means, vandalism, wear and tear, or theft as well as medical expenses, if someone is hurt on your property. Policies are available for both manufactured homes and mobile homes. Motorcycle coverage from Foremost Insurance is for standard motor bikes. Policies are available for basic coverage, comprehensive coverage, or motorbike accessory coverage. Collectable auto insurance covers collectable cars. Collectable cars can be classics or limited edition cars. It covers both collectable cars that are driven and collectable cars that are used exclusively for show. Foremost auto insurance policies are customized to fulfill the legal requirements of the state in which the policy is being purchased. At Foremost, they do not try to just out do the competition or offer a policy price that is slightly lower than the competition; they seek to find the policy that is right for each customer at an affordable price that fits any budget. Foremost specialized insurance policies are for those things that not every customer may have or those things that may not be used year round. Seasonal properties, rental properties, snowmobiles, off-road vehicles, motor homes, and boats are all covered under specialized policies that can be customized for a customer’s exact situation. Foremost has tried to create a claim process that goes smoothly for customers and ensures that they can be back on the road or back in their homes as soon as possible. Claims can be filed online anytime of the day or night, 365 days a year. Customers can also call a toll free number that is available 24/7. Printing out a form and then faxing it to Foremost is the third option available. When you submit a claim, there is some information that is vital to helping the claim process move along quickly. Customers need to include the policy number, the date the loss occurred, their name and address, a very detailed description of what happened, including copies of police reports, and a telephone number. It is important to make sure that you pay your premium on time each month. If you are going to be late or cannot make your payment, contact Foremost immediately to make arrangements. Filing a claim when your payment is late and you have not made payment arrangements, makes your policy null and void so your loss is not covered. 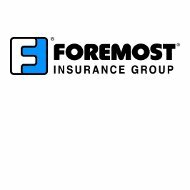 Foremost Insurance Group knows that if they can offer their clients tips on how to be safe, avoid accidents, and be prepared for severe events, they can reduce the number of claims filed. This is a win-win for both the customer and the company. Foremost offers these tips to customers through their website as well as in their policy information packet. When meeting with an agent to discuss your policy over the phone or in person, the agent will assess your insurance needs and give you further tips on what you can do to reduce your overall insurance costs while being safe. They will take the time to discuss discounts with you as well as optional coverage that can further protect your assets in the long run.